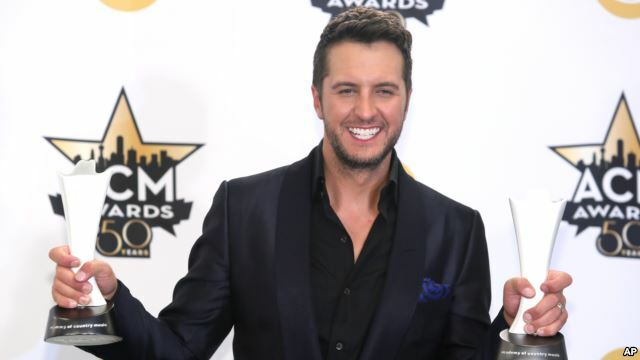 Luke Bryan is easily the reigning prince of Country music: He's scored 10 No. 1 hits on Billboard's Hot Country songs chart; he's one of a few contemporary acts to sell out stadiums; and he's achieved back-to-back multiplatinum albums. But Bryan, who has been on the music scene for a decade, has yet to earn a Grammy Award - or even a nomination. Things could change with the release of his fifth album, "Kill the Lights,'' on Aug. 7. Bryan, who turns 40 next year, has connected with young Country fans thanks to his party anthems and songs about drinking and living life freely. Recent winners for Grammys for Country music include acts that have hit mainstream and topped the pop charts, from Carrie Underwood to Taylor Swift to Lady Antebellum, or traditional acts in the vein of Glen Campbell. Others have been slow to give Bryan credit: He finally won his first Country Music Association Award less than a year ago when he was named entertainer of the year, the show's top prize. On "Kill the Lights,'' Bryan is stretching outside his comfort zone. He said recording the song "Razor Blade'' was challenging. The album features the radio-ready "Home Alone Tonight,'' a duet with Karen Fairchild of Little Big Town; the slow-burner "Strip It Down''; "Huntin', Fishin' and Lovin' Every Day,'' an ode to Southern living; and "Kick the Dust Up,'' the upbeat first single that's currently No. 1 on the country charts. Jeff Stevens, who has produced all of Bryan's albums, worked on "Kill the Lights'' with his son, Jody, to give the country star some new flavor. Bryan, who lives in Nashville, Tennessee, said he's mostly grown from being a live performer to perfectly crafting songs in the studio. And overall in life, he's content.